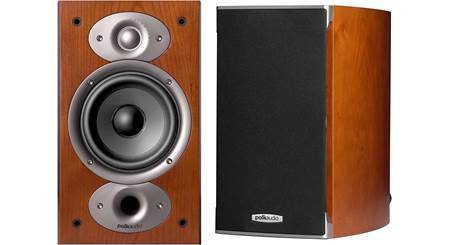 The Polk RTi A3s feature Polk's exclusive Dynamic Balance® drivers for smooth accurate response. 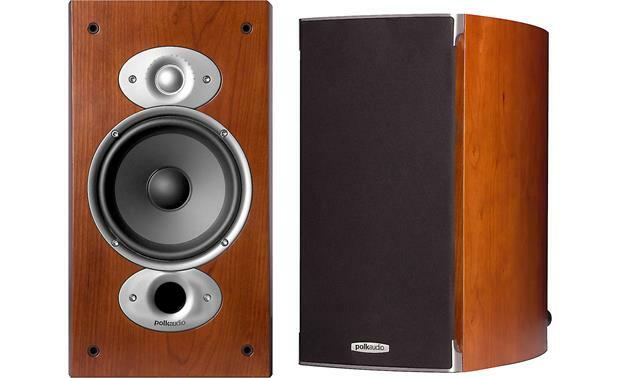 The Polk RTi A3s feature Polk's exclusive Dynamic Balance® drivers for smooth accurate response. The woofers and tweeters undergo careful laser testing to help identify and eliminate unwanted resonances that can hinder a speaker's performance. The asymmetric cabinet helps fight vibration for clearer sound. The RTi A3 sports a newly designed asymmetric cabinet that helps deliver rich, clear sound by combating vibration and increasing rigidity. You'll enjoy remarkably clean mids and highs for a well-defined soundstage, along with tight bass. 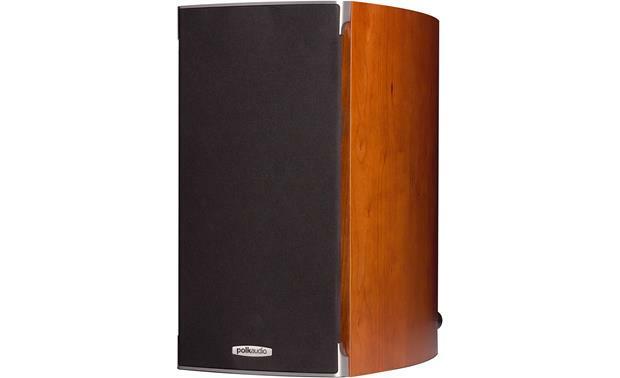 Plus, the cabinet's curved edges give the speaker a polished look, enhanced by a real wood veneer finish. The RTi A3s do a great job with stereo music on their own, but you can team them with a powered subwoofer for even better bass. 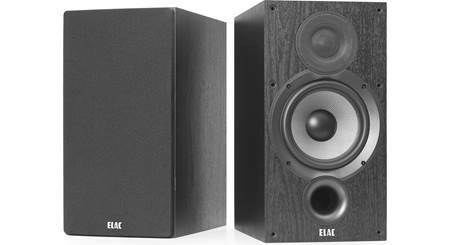 Or use two pairs as your home theater's front and surround speakers for dynamic, detailed movie sound. For larger rooms, the RTi A3s work perfectly as surrounds in combination with RTi tower front speakers. 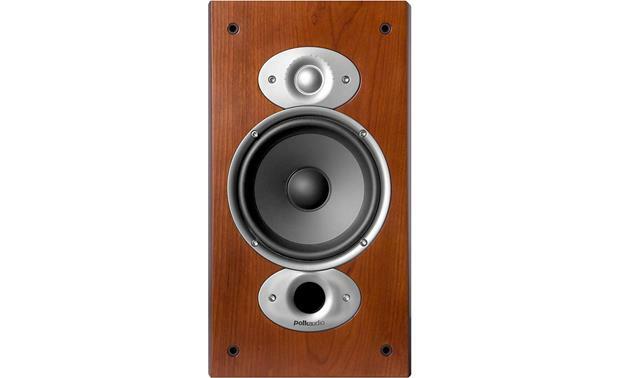 Recommended surround speakers: Polk RTi A3. Can these speakers be positioned on the side rather stand up straight? The sides of these speakers are cu4ved so, no, they can't be used on their sides. However 5hey are great sounding speakers and they look great too. Polymer Composite Woofers: Each speaker features a 6-1/2" polymer composite woofer for smooth wide-range response with low distortion. For high performance durability, each woofer uses a butyl rubber surround. Silk/Polymer Tweeters: Each speaker has a 1" silk/polymer dome tweeter that provides clear, detailed highs. Each tweeter features mylar bypass capacitors in the crossovers to extend high frequency response and improve detail and transparency. Each tweeter features low viscosity ferro-fluid cooling with a heat sink on the Neodymium magnet for superior heat dissipation, power handling and reliability. Frequency Response: The overall frequency response is 40Hz-27kHz and the -3dB frequency response is 50-26kHz. Power Port Venting System: Each speaker has a rear-firing Power Port venting system built into its back plate for precise deep bass response. This venting system allows air velocity to slow gradually, vastly reducing air turbulence, and delivering greater bass efficiency than conventional ports. Dual 5-Way Binding Posts: Each speaker has two sets of gold-plated 5-way binding posts connected by gold-plated jumpers. Using the dual 5-way binding posts, you can bi-amp or bi-wire the speakers. Wall Mounting: The Power Port back plate on each speaker has a keyhole slot, allowing the speaker to be mounted on the wall using the supplied 2-1/2" wood screws. The sides are certainly curved. You could lay them, but the speak face would not be perpendicular to the floor nor would you be able to stack them. Mike. You are absolutely correct.The curved cabinet sides is a first for me also. Due to space limitations, I had to lay them down on their sides. I placed an inexpensive computer mouse pad between the entertainment cabinet, and the speakers rounded side. This served a two-fold benefit; speaker finish protection, and cabinet reverberation conductance into the cabinet. I bi-amped the speakers and the sound quality is absolutely amazing. This is my second Polk speaker acquisition from Crutchfield. I have absolutely no regrets, only good vibes of this awesome system. Is this a good surround speaker? I have 7.1 RTIA7, RTIA3, FXIA6, CSi center. Was wondering if the rtiA3 was a wrong choice for L & R Surrounds. as my FXis are my rears. I use them for my front and rear speakers since I bought 4 of them. They work very well and will put a ton sound out if turned up. Is this a good surround speaker? I have RTIA7, RTIA3 and FXIA6, CSi center. Was wondering if the rtiA3 was a wrong choice for L & R Surrounds. as my FXis are my rears. Yes, I am very pleased with the speakers I purchased from Crutchfield. Their support is superb! Personally I would use the FXIs as surrounds and the RTiA3s as rears. They would be good for that purpose. A lot of that depends upon the room layout. I am looking to add FXis as surrounds myself.. I use them as my L/R units, along with 4 rears (overhead), a center speaker, and a deep bass. Very, very happy with the whole setup, and the advice I got from the Crutchfield folks. If you haven't give them a call, and they will steer you in the right direction. Can you send it to Czech republic if i buy it? Thanks for your question. 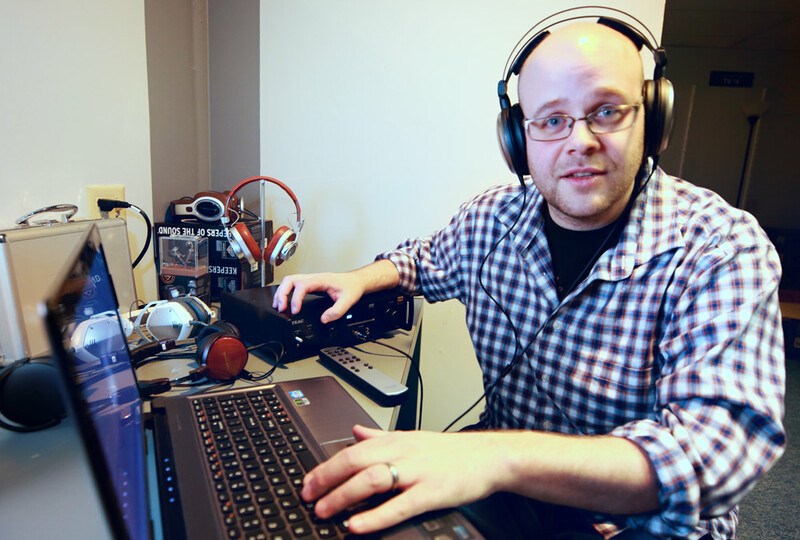 Crutchfield can only send items within the U.S. and U.S. Territories. We are not able to ship to international locations. What is the distance from the bottom of the speaker to the center of the tweeter? How much power are you feeding these? 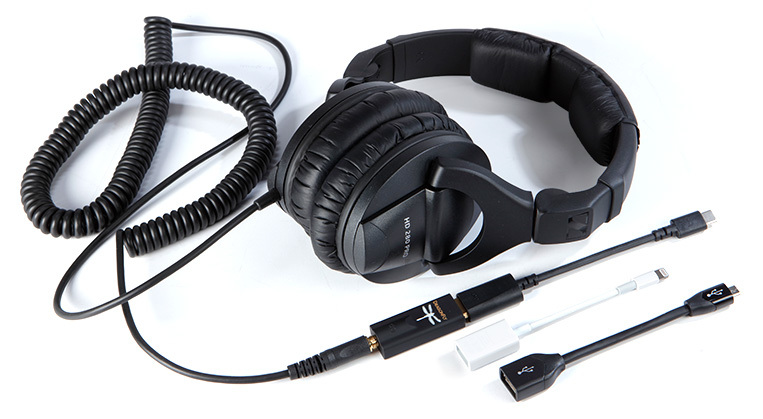 I have 2 pair of these using 2 Denon receivers. different rooms one 90 watts, one 95 watts per channel. great sound! One hundred watts per channel and they sound great. I had them originally connect to a Yamaha amp that put out about 30 watts per channel in my living room (this was temporary) and they sounded fine at low volume. But, on my new Denon receiver, they seem happier and sound really good. Probably could take 120 with ease. I have a Marantz SR7009 125w. They really could handle them. Connected to Denon 3311c 125Watts per. I re-allocated my in ceiling Front for Height and bought these to use as Front speakers. Mixed with surround and surround back in wall speakers (all Polk) sounds pretty good when the right content is playing. what size sub woofer recommend with rti a3 ? This will depend largely on the room and system the speakers will be used in. Contact an Advisor by phone or chat for help choosing the best components for your system. RTi A3 vs S20, anyone have an opinion? Seems similarly priced. No, if you look from the top down onto the speakers they are somewhat tear-drop shaped and would rock instead of laying flat. I would not; they are curved on the sides. I would presume also that sound dispersion (radiation pattern) is designed for vertical orientation. Side positioning would not be harmful in my estimation however. CHARLIE,YOU CAN PROBABLY POSITION THEM ANY WAY YOU WOULD WANT TO, I USE MINE AS HEIGHT SPEAKERS AND THEY SOUND GREAT. I WOULD BUY THEM AGAIN,GOOD LUCK. Well you could, nothing preventing it. But it would look funny as the overall shape is quite rounded toward the back. Not ideal, curved sides make very difficult. Best sitting up, They can be mounted to wall also. Awesome sounding speakers, punch way above their price point! Yes, you can place them on their side (so it might fit in a shorter space?). If you do so, I would place the bottom/side on a protecting surface. Perhaps a small placemat, or piece of carpeting, would protect that beautiful cherry side from scratches. No. The sides of the speakers are slightly curved front to back, and not meant to be positioned that way. No. They are wedge shaped. They do sound great! The speakers have curved sides so that probably won't work. They are great speakers and I would highly recommend them. I also bought the matching center channel and they all sound great. First, these speakers are amazing. 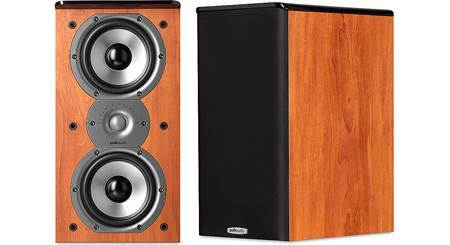 They have the best sound of any speakers that I have purchased in the last 35 years. I just took a good look at the speakers. The simple answer to the question is "No". Here's why: the speakers are curved from from to back. The speakers curve outwards from the front grille, then the curve continues around to the back of the speaker. (like the hull of a ship) That said, if someone were creative, he/she could design a custom mounting support system so that the speaker could be positioned on its side. Hope that this info helps. Rob C.
Mine are straight up but yes, I believe they can positioned on the side. Crutchfield, would you confirm? While I have mine standing, I don't see any reason they can't be laid sideways. They're pretty great. There is no provision for mounting on it's side but you can probably rig something with a little creativity. Charlie - The RTi's have curved side panels. If you were to place them in a horizontal position, they may rock a little and, therefore, may be a little difficult to maintain a consistent position. With that said, I love these speakers. They are beautiful and sound fantastic. I think you could, I have mine standing up. Just have to be careful with the curved sides. Theyre rounded on the sides so not unless you put something under them to stabilize them and absorb the vibration. No, because the sides are curved. Great speaker though! 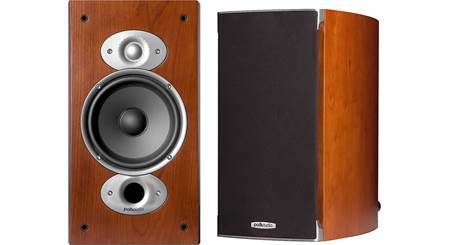 Searches related to the Polk Audio RTi A3 Bookshelf speakers.